While the wedding day can often bring with it unnecessary stress, it is the aim of Meltser Studios to make sure that the photography experience is as tranquil and quick as possible. With customer service and personal attention as their main priorities, Meltser Studios focus on creating a relaxed atmosphere and putting the bride and groom and their families at ease to guarantee a pleasant experience for all involved. Most of all, they pride themselves on ensuring customer satisfaction and working to meet the individual needs of all their clients. 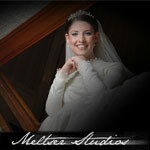 Meltser Studios' handpicked creative team of skilled photographers captures the joyful essence of the wedding and the radiance of the bride and groom with speed and efficiency, creating timeless, vibrant photos that bring out every person's unique personality and immortalize each special moment without being intrusive. Their versatile and personalized approach to photography combines a distinct artistic style with customer preferences to allow clients to express themselves, resulting in breathtaking photos in both indoor and outdoor settings that preserve memories and bring them to life years later. Get more for your wedding! Don't forget to mention ChossonKallah.com when visiting Leor Meltser Photography. I would definitly recomend meltser studios!! I can only say good things about them.The pictures were extremly creative.The photagrapher didn't lose his cool 4 a second! (& I've been by many of my sibling's weddings where the photagraphers easily got frustrated). He even called me the night before my wedding "just to touch base"-before planning the proper time to come, he first asked how big my family is, how many married siblings, grandchildren...etc. We were shocked how fast the albums were ready and at how much individualized attention my husband and I recieved while choosing pictures and styles for the album. Aso, the shots from the chuppah were unbelievable, I've never seen such clear close ups of everyone that was called up for a kibbud. I'm constantly looking at my album( which i have over 2 yrs.) & I still enjoy it!! Meltser Studios is the WAY TO GO!!! The experience my family had was phenomenal. The customer service was amazing. The patience they have is incredible. Such a pleasure to work with. We got the pictures back right away and the compliments are constantly flowing. Each picture is unique and special and taken with such talent. Definitely recommend them for the ultimate photography experience!!! If you are looking for the ultimate photographer to capture every moment of youre special event....MELTSER STUDIOS TAKE THE CAKE!! Their customer service and patience makes them a pleasure to work with. We were speechless when we saw the gorgeous job they had done on my wedding, as well as for brother's. I have shown my pictures to all my friends and by far they had all agreed that they had never seen such stunning pictures before. The creativity,clarity and professional touch are visible in each picture. I would 100% recommend Meltser Studios.